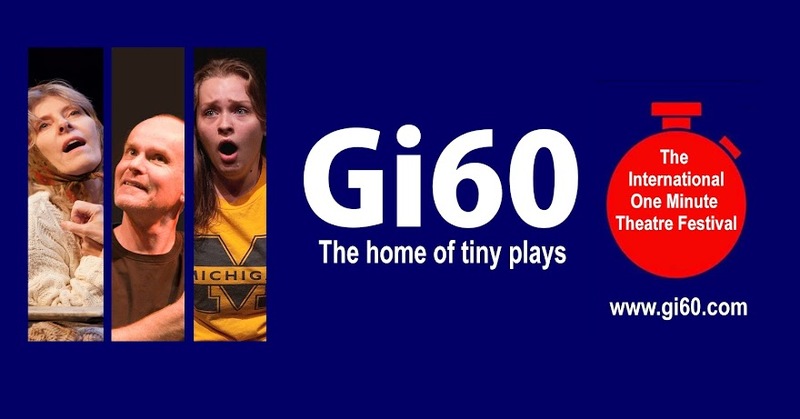 Gi60: a One Minute History Gi60: The One Minute Play Festival was created by Steve Ansell, artistic director of ScreamingMediaProductions in 2003. At that time Steve was the Associate Director and head of New Writing at Harrogate Theatre, North Yorkshire, UK. Steve was curating a writing festival and looking for ways to offer more opportunity for writers to have their work staged. 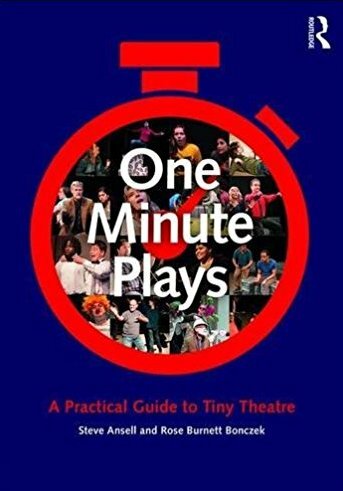 The idea of staging a one minute play festival was actually thanks to Christopher Durang and his anthology 27 Short Plays which contains a play titled 'One Minute Play' which Durang was commissioned to write for a one minute play festival. His play actually lasts over two minutes as he found the parameters limiting. It was for this reason that the first Gi60 was actually a two minute play festival called 120 Seconds which was presented as part of the 2003 Harrogate Theatre Write On festival. 120 Seconds was a huge success with both writers and audiences and so in 2004, enthused by the reaction to 120 seconds the first 'Gone In Sixty Seconds' (Gi60) was presented. Almost 90 one minute plays were performed in two separate shows, one show for family audiences and one for more adult themed material. Once again the shows were a huge success with extra performances hastily arranged as the studio space housing the event couldn't accommodate the audience numbers. Although the 2004 show was very successful it had become clear that a single show with fewer plays would be more manageable, however, a reduction in the number of shows would have meant less opportunities for writers. With this in mind and inspired by his own phones ability to shoot about one minute of video, Steve approached long time colleague and fellow Director Rose Burnett Bonczek at Brooklyn College in New York to see if she would host a New York One Minute Play festival under the Gi60 name and record the entire event on Video. The plan would be to each present 50 one minute plays, record them and then upload them to a website for viewing and download by writers, friends, family and the general public. Both shows were a massive success and both were recorded. A site and domain name were purchased and software uploaded (beating the official launch of You Tube by five months). Over the years we have undergone a number of changes. The UK show moved from the Harrogate Theatre studio to the Theatres main stage and is now has its home at The Viaduct Theatre in Halifax where Steve is an associate artist. In 2008 we moved the Gi60 Archive to You Tube and the Gi60 channel has received over 20,000 hits since that time. In 2010 we hosted our first themed Gi60 as part of the Halifax Ghost Story Festival 'G(hosts)i60', this was also notable as it was the first time that both Steve and Rose had directed together and featured a cast drawn from both UK and US actors. Gi60 is always evolving and their have been a number of things have changed since the first International Gi60 in 2005, however, the key elements that make Gi60 so distinctive, successful and emulated remain the same. We are extremely proud of the Gi60 format and the creative community of writers, performers and artists that has grown up around the event. The fact that so many other one minute festivals using the Gi60 format have sprung up in recent years is fantastic news for writers and further proof of the popularity of the one minute form and the effectiveness of the Gi60 format. Mary, what does Cyberlord and spying on your partner have to do with one minute plays?